Money is the life blood of every business. It can move your business forward or make your business stagnant. Money in business can take any form, the inability of most small business to identify and relate with these forms dictates some of the reasons why businesses fail. As a unique CEO you must understand these forms and work on them. Form 1. 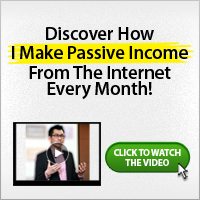 Income: This is the money you are paid for doing what you do. Owners who suffers from “being your own boss” syndrome, sees income as the primary and the most important form of money. As we proceed you will come to realize that these is the least form money can take. a. Deliberate Profit: This is critical part of your business, it occurs when you can predict and repeat the process of generating the profit you have made. b. Accidental Profit: opposite of deliberate profit, it is not replicable. You must realize that profits fuels your biz, it feeds it to grow, rewards people for exceptional work also rewards you as the owner. Form 3. Flow: This is a detailed explanation of what money does in your business, it is more critical than profit, because it is possible for a business to produce profit and still be short of money. These are called profit on paper. Flow will show you where your money is and where it will be when needed. To understand this, you must get familiar with the principles that guide flow of money. 1st Principle: Your income statement is static while your flow is dynamic. Income statement analyzes your business after facts but may be bad for managing in the heat. Income statement tells how much is coming in and how much you are spending, but flow tells you when you are spending and receiving money in your business. Managing flow takes attention to detail, it puts you in charge. 2nd Principle: Money seldom move as you expect it to. You can change that if you know the primary source of money in your business. 1. From inside your business: payables, taxes, payroll, cost involved in getting customers, service delivery, etc. 2. From Outside your business: receivables, investments, loans, etc. c) stop it all together. This involves the way you buy supplies, manage your work, compensate people, collect payments etc.